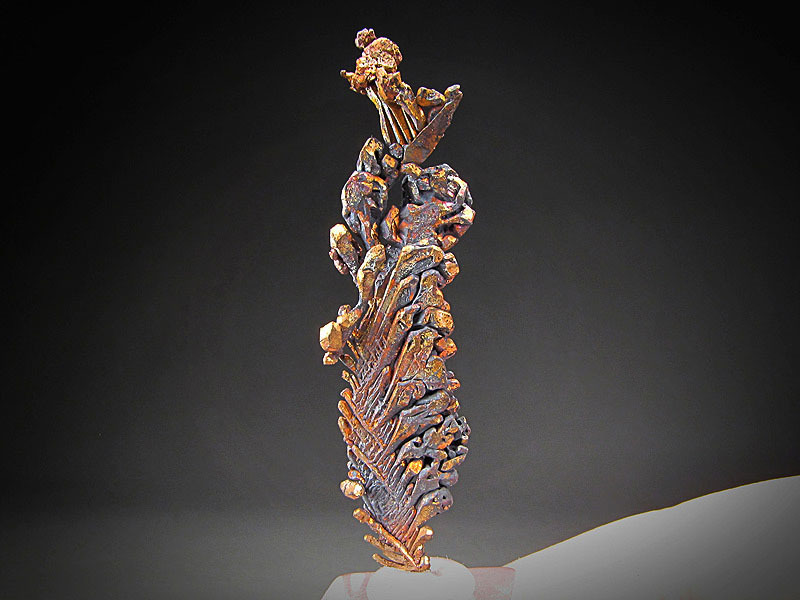 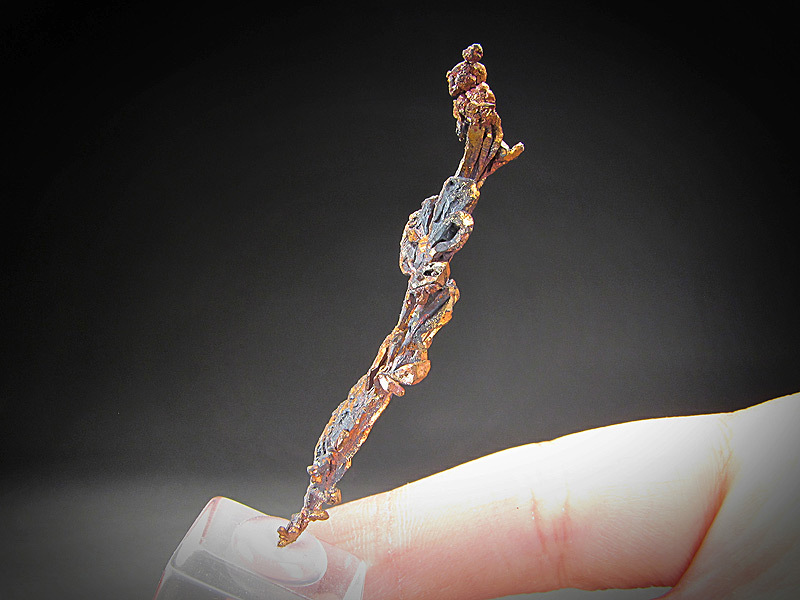 This is a nicely crystallized, spinel-twinned native copper with cuprite coating some faces. 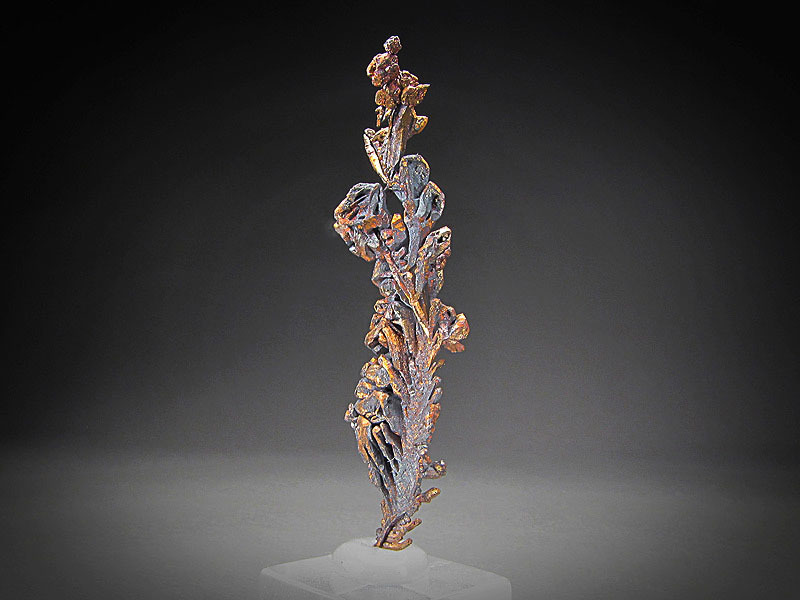 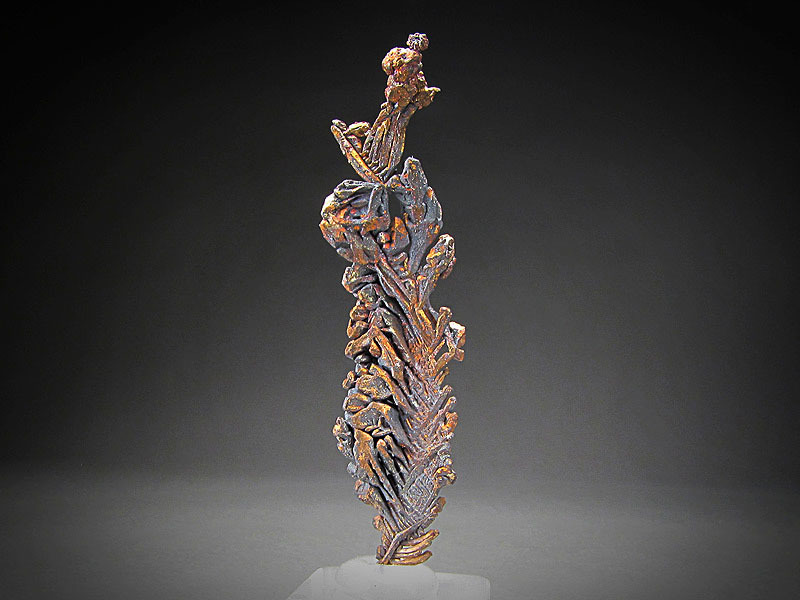 This piece measures overall 1.35 cm wide by 5.1 cm tall by 0.9 cm front to back. 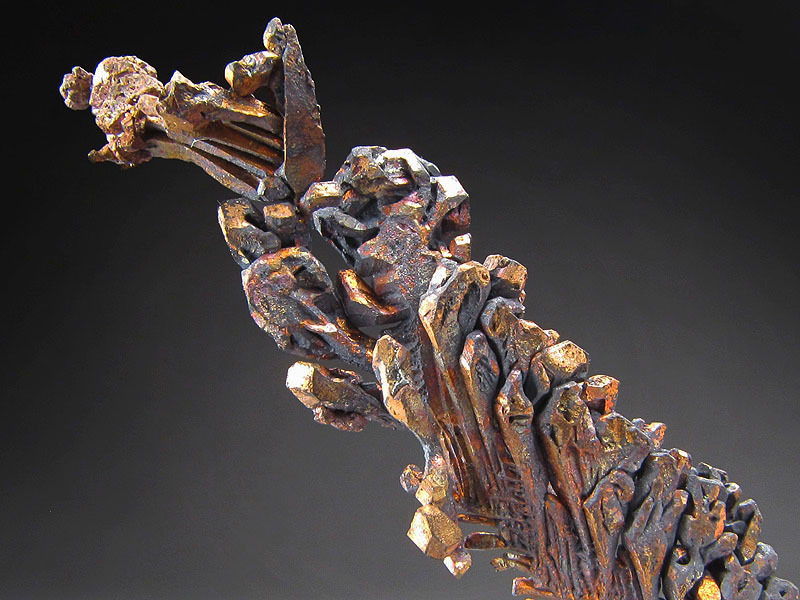 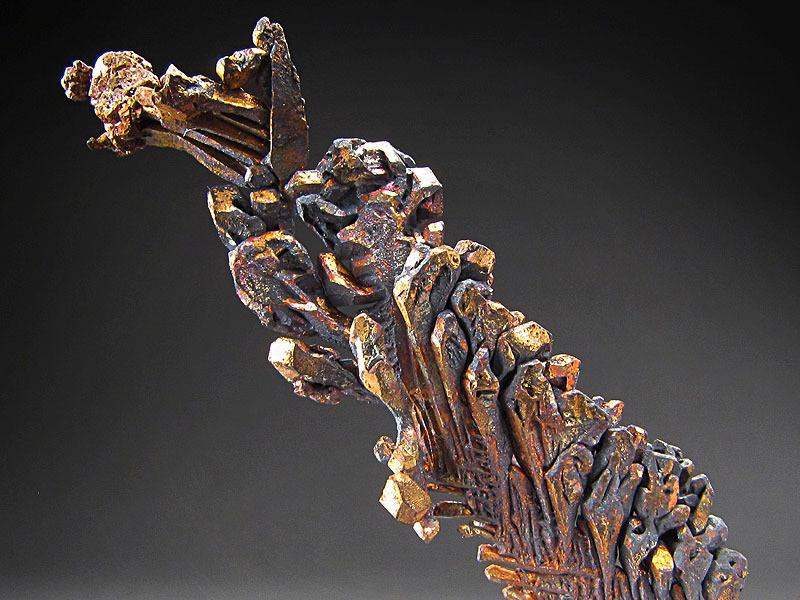 The locality for this piece is Itauz Mine, Karagandy Province, Kazakhstan.